Any renovation around your home, inside or out, should be strategically planned. Once you are done with a remodel there is no turning back, you can’t change it once it’s complete. Home improvements, once completed, are yours to enjoy (or hate) for years to come. We encourage clients to meet with our licensed contractor and designer to discuss their project in detail to discuss the renovation. Once you have expressed your interests to our contractors and designers they can help to create a space that you will thoroughly enjoy. Before you commit it is important to take some time to mull over the design to ensure it is going to be perfect. Should your bathroom be practical and useful or lush and lavish? This is the first thing our licensed contractor and designer will want to know when you meet with them to discuss design options. A bathroom isn’t a space that most clients plan on spending hours on end in however, they want a space that is simple, attractive, and functional. However, some homeowners are remodeling their bathroom to create a space that they can retreat away from the stresses that are found in everyday situations. Are you looking to create a larger space or are you planning on utilizing the existing space? Most often the bathrooms of your home are some of the smallest spaces within the home as they weren’t necessarily the priority that bathrooms, kitchens, closets, and such were given in new construction. It is vital when planning and budgeting to decide if you need a larger space or are fine within the space you have. It will be important for our designers to look at the architecture of your home, along with the floor plan to determine if the space can be expanded or if they will need to create a design based the space provided. Would you like a shower, a bathtub, or a combination? Lounging in a bathtub has become something many homeowners have given up. Maybe they don’t have the time or desire. Whatever the case may be, leaving out a tub can make room in the budget for extras elsewhere, like a shower with multiple shower heads. If you do decide you would like the combination of a bathtub and shower our designers will plan a space accordingly to ensure your comfort and maximize relaxation. The storage within a small space such as a bathroom is of utmost importance. The amount of storage that you need will depend on what you choose to store in the space. Are you storing just the basics like toiletries and towels or do you need to have room to keep other daily use necessities such as a hair dryer, makeup, and such. JFC Remodeling, out of Howell, Michigan, offers a variety of construction services for the home including: kitchen and bath remodeling, flooring renovations, and home remodeling. You can find out more information at http://www.jfcremodeling.com or by reaching out to our home renovation specialists at 810.923.1123. Bathrooms renovations can be extremely tricky, especially if you are trying to create more space in a room that currently seems really small. However, there are many things that you can do to maximize this space during your bathroom remodel. As you are creating the design for your bathroom remodel, you are going to want to incorporate storage wherever you can, because that is the one thing that is always needed the most in this space. You can choose to install open shelves on the walls or consider installing a vanity with a cabinet underneath to really maximize your bathroom space. Natural light can really open up a room and make it appear larger than it really is. We recommend installing a skylight if possible, so you have continuous light shining down into your new bathroom. During your bathroom renovations, you are going to need to find a few ways to add to the space for décor, and we recommend making sure that a mirror is at the top of your list. Not only will the mirror help as you are getting ready in the morning, it will also help create the illusion that your bathroom is larger than it is. While most people place their mirror over their vanity, there is nothing wrong with having a couple mirrors in this room to really open things up. A niche is a little indentation in the wall that allows you to store items that you want to keep in your bathroom. These niches can be located in your shower, next to your bathtub, or even in the wall above your toilet. The possibilities are endless and so are the items that you can place inside them. A shower curtain will quickly make your bathroom look smaller than it is, which is why we recommend installing glass shower doors when you are completing your bathroom renovations. The glass doors will allow your eyes to travel the entire length of the room, while making it feel open and airy. There are many times when changing the layout during bathroom renovations is not completely possible, but there are plenty of ways that you can improve the layout that you have. The above tips should help you maximize what you have to work with, and we know that if you think out of the box a little, you will find even more options as well. More and more people are looking to stay in their current homes longer and not having to go through the hassle of selling their home and buying a new one in order to get something new that they don’t currently have. This makes contractors and interior designers really happy because it gives them more opportunities to help people figure out how to breathe new life into their old house. It seems every year there are new trends and new ideas in the remodeling world and two of the more popular spaces in the home to remodel is the kitchen and bathrooms. This article will be looking into new trends for 2018 in order to help give you some ideas for your own home. Smaller, more efficient size – Smaller sometimes is better and in the case of today’s bathrooms smaller has become better. Fitting more into a small space is definitely the in thing. High tech toilet – Features like heated seats, automatic opener/closers, air drying and even some with built-in automatic deodorizers. The revival of the brass and gold fixtures – The use of gray tones in bathrooms now are beckoning to the return of the brass or gold tone fixtures to add a much less chrome look. New style vanity lighting – Lighting in today’s bathroom is much more a much more integral part of the bathroom designs. There are much more options in lighting with pendants and lighting bars to go along with the sconces. Underfloor heating – In the colder climates, having the floor warmed under your feet in the winter adds that extra touch of luxury. The smart kitchen – Smart kitchens today have gone beyond the smart appliances to include motion sensing faucets and lighting that can be controlled by your smartphone. We are almost to the point of the nearly automated kitchen. Cabinet colors – White cabinets are still number one for cabinet colors with a light gray a distant second. However, when there is an island there should be darker colors to contrast all of the white or light grays. New textures and material – The trend has been reducing the number of upper cabinets to give the kitchen a more open look and feel. Having open shelving where storage is needed and more textures to the backsplash for the necessary focal points. Quartz countertops – Quartz countertops are still all the rage since there is such a wide range of colors you can choose, and they look fabulous all the time. In cabinet storage systems – With kitchens almost never having enough room or a pantry is not always an option, in cabinet storage is a simple solution that would work in almost all situations. Add an Additional Bathroom: Many older homes have the one-bathroom dilemma. Anyone with more than one person living in a home knows the importance of a second bathroom. When adding an additional bathroom within your home consider if you need a full bath or half bath. A half bath is more common in homes with two full bathrooms. Bathroom Expansion: Expanding a bathroom is common in a home with more than one half bath. Homeowners looking to add an additional shower or tub often consider expanding. Accommodate the Aging Process: Aging is one of the most common reasons homeowners choose to remodel their bathrooms. Aging bodies need special concessions within spaces that are used multiple times a day like bathrooms and kitchens. Some common renovations that are done because of aging are taller toilets, increased lighting, the addition of grab bars, pulls instead of knobs on cabinets, walk-in showers, and such to ease use. Update Plumbing: Sometimes there is absolutely nothing wrong with your bathroom space when it comes to the look or layout but the components keeping it running begin to fail. Signs that your bathrooms plumbing needs upgrading can range from leaky sinks, mold, and low water pressure. Improving Utility: Sometimes your bathroom needs to be renovated to increase the usage of the space. It could be from improving ventilation, add storage, put in a bidet, or accommodate an extra person in the space with the addition of a double sink. Cosmetic Upgrades: An updated look is always a good reason to renovate your bathroom space. Sometimes a fresh space can really transform a style that has become dated. Often some new cabinetry, a clean coat of paint, updated flooring, and a splash of new tile can really transform a space. When looking into renovating your space it is important to hire a professional contractor. Even the smallest of spaces, when renovating, can turn into a major disaster for those who go it alone. A professional contractor specializing in bathroom renovations can quickly take your space from dull and dated to functional and fantastic. Now that your bathroom renovation is finished, it’s time to add additional storage to the space. A bathroom can never have too much storage as it allows you to neatly organize everything while also providing a visually pleasing space you’ll absolutely love. Although you might have asked for and gotten lots of extra storage space for your renovation, here are a few clever bathroom storage hacks that will really pull the whole renovation together! Get more space in your bathroom by hanging baskets on the wall that look like floating shelves. They can be used to house things like towels and toilet paper. Choose baskets that you like and then anchor them to whatever wall you’d like to showcase them on. It’s an easy way to add both décor and storage to your bathroom! If you have a pedestal sink in your bathroom, you already know that you can’t store anything under it or else it will show. To fix that problem, you can invest in a wrap-around shelf that is made especially for pedestal sinks. This stylish option will provide you space to organize your things while still being out of sight! Or you can dress up the sink in a skirt and simply hide baskets behind it! There are plenty of gorgeous wine racks you can use to hang on a wall that will visually add to the space and hold bath towels at the same time. This is a popular option for more rustic renovators with small bathrooms where a linen closet or under the sink cabinet are not possible. Make the most out of the space under your bathroom sink by investing in an expandable organizer that will easily fit around your pipes and provides an easy way to organize your products under the sink. Other options are adding storage onto the side of the cabinet doors and stackable baskets. Adding shelves over your toilet will allow you to have a number of everyday essentials within reach. Shelves also add additional space for towels and small appliances like blow dryers, electric razors and such. There are a number of ways that contractors will include storage for you within your bathroom renovation however, as you know there is never enough. Anywhere you can sneak in some hidden storage you should take full advantage. Storing items allows everything to have its own unique spot and ensures an uncluttered space. One of the most unique and personal places in your home is your bathroom. It has been said that to truly understand a person’s living style all you need to do is to look at their bathroom. At that point, it is easy to know lots of things about the home as well as the family living there. Therefore, people always seek new methods for remodeling bathroom. After the kitchen, bathroom remodeling has become one of the first priorities of homeowners. If your kitchen and bathroom renovations are done properly, it will raise the worth of your home. Your guests will always feel warm and comfortable during their stay in your home. When you begin to plan for renovations to your bathroom you can get various types of materials that will make them the showpiece of your home. However, getting the remodeling project completed is often easier said than done. A good and licensed contractor can help this process and can aid in making your remodeling adventures as short and sweet as possible. Considering the important role that the bathroom must play in our lives it is always a good idea to update its look from time to time. Here are few steps to help you remodel your bathroom. The first step is to select the style you would be comfortable with that is appealing visually while also being neutral enough if you decide you need to sell your home. To get ideas for your bathroom renovation look at sites such as Houzz and Pinterest. Once you get an idea of what you want the goal should be to find a contractor to help recreate a version of your ideas that fits your space. The next step is to pick a bathroom layout. Check if it suits your needs and respects the space available. A basic bathroom will have a sink and vanity, a toilet, a tub and in some cases a separate shower. An inexpensive design would be to have the basics that require plumbing on the same wall. To counteract the look and feel of being cramped in a small bathroom, try using a glass wall in your shower. The third step involves choosing finishes. You can choose paint, tile, stone, glass or wood for your wall. For floors, you can choose from tile, stone, wood, linoleum or vinyl tiles. For a vanity countertop, you can choose from tile, stone or plastic laminate. There are many materials to choose from that can change your bathroom into a space you never want to leave. This involves picking fixtures for your bathroom, like your toilet, sink, tub, and faucets. While cost is often a major factor, people are concerned about style and water conservation. A fourth factor in purchasing a toilet is its flushing ability. Toilets saving water are beneficial for house owners in the long run. When researching retailer’s websites for bathroom fixtures, ensure you get the full picture before making your purchases. The last and final tip involves hiring a reputed and licensed contractor. 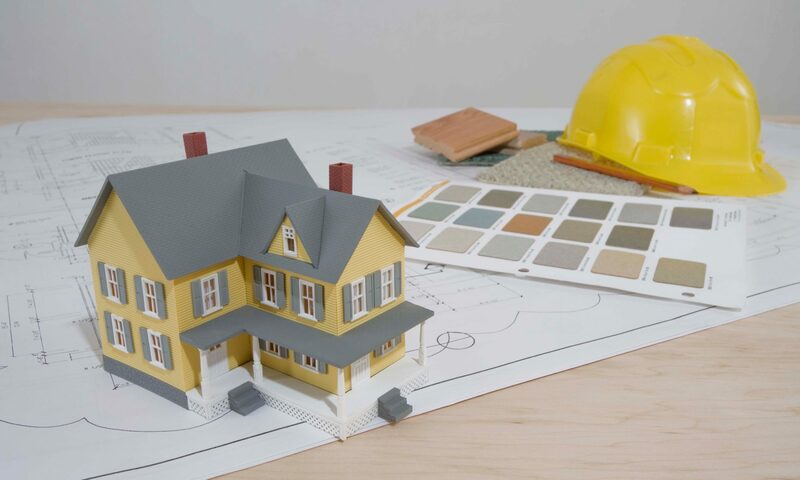 Once you have your contractor, make sure you have a written estimate and a clear start and completion date. One of the best ways to find a licensed contractor who will be a good fit for you is to ask around. Does anyone you know have a recommendation based on having worked with a contractor before? Ask people you trust if they have any suggestions. This will help narrow down your search field so that you have a better pool from which to choose. Ensure you investigate his or her license and insurance. Most states have a licensing board in place that’s designed to protect consumers and safeguard the integrity of the construction industry. Applicants must pass an exam and pay a fee to be licensed. For the most part, anyone who is established and recognized as a contractor in your community will be licensed, but it never hurts to check! You also need to make sure that any contractor you consider for kitchen and bathroom renovation is insured. You do not want to be liable for any injury that a contractor or contractor team member suffers while on your property. If you have any questions about a potential contractor’s insurance situation, make sure you resolve them before any work starts. When it’s time to finally pursue your home kitchen and bathroom renovation, finding an insured and licensed contractor can make all the difference. Do some research ahead of time to make sure that you get a pro who will handle your project the way you want it handled from start to finish. Both kitchens and bathrooms are filled to the brim with a number of different accessories. In fact, it would not be a stretch to call them the busiest rooms in the entire house because of how many valuable accessory objects that they hold. Therefore, it is essential to effectively utilize as much space as possible and use every single inch in a useful manner. It is imperative for you to know how to use your space while undertaking kitchen and bathroom remodel. A licensed contractor can bring the most out of the two rooms and their renovations. The kitchen is the room where most of the hard work takes place. Therefore, it is important to make sure that there is less clutter all around it. A clean and tidy kitchen ensures greater productivity. Place this holder inside the door of a cabinet to make sure it is just as usable but does not interfere with anything. It saves a lot of space. Placing cans all around the kitchen can cause a huge clutter and interfere in many kitchen tasks. Placing all the cans on a designated rack ensures less of a clutter and more organization. Much like a plastic cup holder, you can make a holder for knives for measuring cups inside cabinet doors. This ensures usability while also saving a lot of space. To save space while also not letting go of your glasses, you can always add a wine glass molding to your kitchen and hang all appropriate glasses from it. Instead of using standard cabinets for cookware and utensils, it is better to install cabinets that act as cookware organizers. This helps to organize your cookware while making it ready to use. The most simple of them all, the wall cabinet helps you keep most of your bathroom accessories in the wall and not have them lying around. While making everything neat, it also makes the accessories more accessible. Having small straw storage closets beneath your sink is a great way to keep your things at hand and secure. Storage towers are a great way of keeping your things right in the middle, while keeping them all in one place. This is a great way to store toilet paper, towel, and such. Much like the storage tower, the storage ladder keeps your accessories in one place. Preferably the corner. These ladders are also perfect for hanging towels. Give your licensed contractor all these great ideas when you are having your kitchen or bathroom remodeled. Most contractors will have some tricks of their own when it comes to extra storage in kitchen and bathroom renovations.